Episodes are in the second post! Anyways, just like any Nuzlocke, I've decided to add my own variant to it, if you'd like to do something like this for your future run, please do so! WARNING: There is cursing in our videos! It is not frequent, but it is there. This is your forewarning! 1- Any pokémon that faints is considered dead, and will be claimed by the PC. 2- You can only catch the first pokémon encountered in each area. If the first pokémon encountered faints or flees, there are no second chances. 4- In a new area, the first encounters for both players will be "linked" together until death. 5- If one pokémon in a linked pair is placed in the PC, its Soul Link partner must be placed in the PC as well. If it's placed in my party, its Soul Link partner must also be placed in Sam's party. 6- If one pokémon in a linked pair dies, its Soul Link partner is considered dead as well. 7- If one player fails to capture their first encounter in an area, the second player must forfeit their encounter in their corresponding area. 9- All Soul Link pairs must consist of one male and one female pokémon. Players will re-encounter their first encounters in a new area until an acceptable encounter can be caught. NOTE: If re-encountering a pokémon from an area until each rule is followed is impossible (i.e. if there are no pokemon without repeating types), the pokémon must be forfeited for that area. Last edited by Suicune's Fire; 09-03-2016 at 01:32 PM. Episode #3: Xanthe is in the HOUSE! Episode #4: Skipped a Route, and Caught a VENUSAUR! Episode #5: Revenge is a sweet b*tch! Episode #6: OH SUGAR HONEY ICED TEA! Episode #15: You Lied to Us, Kurt! Last edited by Suicune's Fire; 09-04-2016 at 02:10 PM. 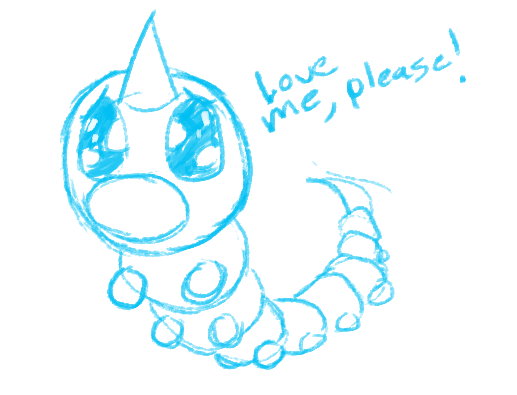 I will bribe people with failtastic arts to vote for Weedle. Last edited by Suicune's Fire; 04-23-2016 at 06:35 AM. Added you under Fire. OH YOU WAIT! Since Neko roped me into voting for Weedle (I'm sorry ), I might as well join the fun for the whole thing. Could you put me down for dark type? I voted for Igglybuff because I'm replaying Yellow as a quick one-day Nuzlocke and I have high hopes for my Jigglypuff and I want you to have them too. Also, if I could be put down for a Grass-type, I would be over the moon. Out of the first 251 Pokemon I don't think there's a single Grass-type Pokemon that I don't like, adore, or love. We shall do our best to sabotage this run. Bwahahahaha! Anyway, you're a nuzlocker too. xD You have fun with this nonsense.